Box Office: Salman Khan-Katrina Kaif Starrer Tiger Zinda Hai Second Friday Business! 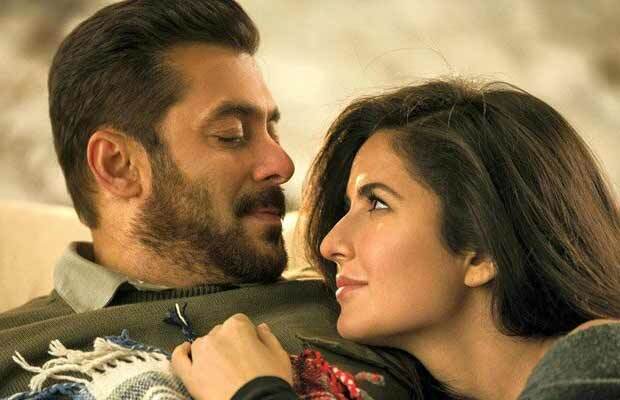 Home BOLLYWOOD Box Office: Salman Khan-Katrina Kaif Starrer Tiger Zinda Hai Second Friday Business! Salman Khan, Katrina Kaif’s Tiger Zinda Hai continues kicking high even on its second Friday at the Box Office. Salman Khan, Katrina Kaif’s Tiger Zinda Hai is doing outstanding business at the Box Office since day one. In just flat three days, the film made it to Rs 100 crore club and in a week, touched the 200 crore mark. For cine-goers, the hysteria has not died down as many are going in for a repeat treat. Tiger Zinda Hai has become the highest grosser of 2017 in just one week. The film has crossed Golmaal Again business of Rs 206 crore net approx in the first seven days itself. The total first week business of Tiger Zinda Hai is the third highest ever after Bahubali – The Conclusion, which was Rs 246 crore net approx and Salman Khan-Anushka Sharma starrer Sultan, which was Rs 209 crore net approx. As per the early estimate, Tiger Zinda Hai has done a business of Rs 12 crore net approx on its second Friday at the Box Office, thus, taking the total collection to Rs 218 crore net approx in eight days. The collections have dropped by 20% from Thursday but no big deal. The action-spy-thriller is heading to break Sultan and Bajrangi Bhaijaan record. TZH is inspired by the real-life incident of the rescue of Indian nurses held hostage in Iraq by terrorists and at the helm of affairs of the mission is Indian RAW agent Tiger (Salman Khan). A sequel to Kabir Khan’s Ek Tha Tiger, Tiger Zinda Hai is touted as the best film of Salman’s career. Total: Rs 218 crore net approx. Previous articleBigg Boss 11 Weekend Ka Vaar: Salman Khan SLAMS Hina Khan, Here’s Why! Next articleBigg Boss 11: Vikas Gupta’s Mother Wants Her Son To Marry Shilpa Shinde?